John is a local lad, who has lived in the Eden Valley, in Cumbria all his life. Before setting up Bousfield Projects, John worked for Atkinson Building Contractors for twenty years, where he gained extensive experience of managing building sites, contracts and developments. 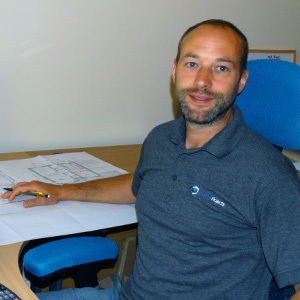 He’s worked on a wide variety of projects from new build residential properties, including extensions and refurbishments; to larger commercial projects including numerous educational establishments, care home, Cumbria Police, and local housing associations. While developing his career John gained several qualifications in the construction industry, including an ONC in Building Studies by the Construction Industry Training Board and a HNC in Building Studies at Carlisle Collage. John also hold a current SMSTS certificate, the industry standard safety qualification. John is very proud to have designed and built his own home with his fiancée Helen, which was shortlisted for an LABC (Local Authority Building Control) award. John has also won a NHBC (National House Building Council) ‘Pride in the Job’ award for excellence in On-Site Management. Nigel, who was originally born in Aberdeen, was also brought up in the Eden Valley in Cumbria for most of his life. After leaving school in Penrith, Nigel worked for several years as a Storeman at Armstrong and Fleming, before also joining Atkinsons Building Contractors. Nigel worked for the local building contractor for 14 years, before teaming up with John to set up McCombie and Bousfield. 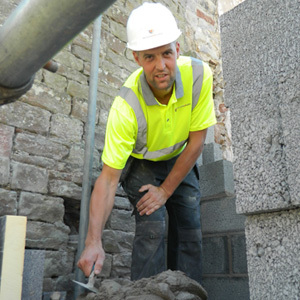 Gaining many qualifications in the construction industry, Nigel is the ‘hands on’ man of the business after gaining over ten years experience as a qualified bricklayer. Nigel hold a current SMSTS certificate in Site Manager training, as well as an NVQ level 4 in Site Management. He holds an NVQ in Bricklaying and is also a qualified to operate many items of plant and machinery. Like his business partner, Nigel has worked on projects for private residential clients, as well as large scale commercial building projects. Nigel and John have enjoyed many years acting as a formidable site and contracts mangement partnership, successfully delivering numerous schemes together throughout the Eden Valley.